‘Silent Sounds’ is a series of one minute silent music videos to be screened on Bournemouth’s Yellow Bus screens, using only lyrics and silent footage to explain the story behind the music. 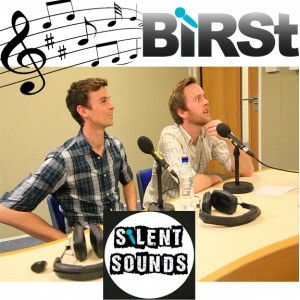 Now here is your chance to hear our debut act as they played live in the studio for us and gave BIRSt a wonderful interview. If you haven’t seen the video yet, then jump a number 6 Yellow bus in Bournemouth… For now though, enjoy the wonderful sounds of ‘Ninebarrow’ as Lee Hatchard delves into the world of folk and storytelling with the duo. All artwork designed and created by Lee Hatchard.